Give your vacant table top a touch of style and standard with this Ceramic table top decoration. This attractive decor is unique, exclusive and contemporary style of interiors. 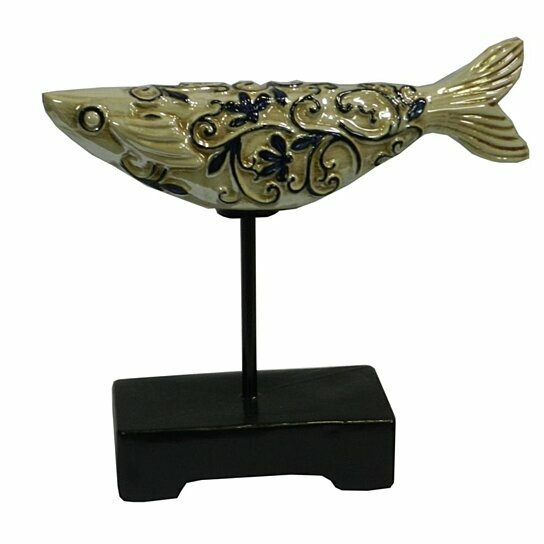 This decor has fish figurine on the top and the base is sturdy. It is exclusive to be a part of any table top. Place it on side table, console table or wall shelves. This decor is made from ceramic and it has a shiny finish to it. It will go magnificently with any theme.